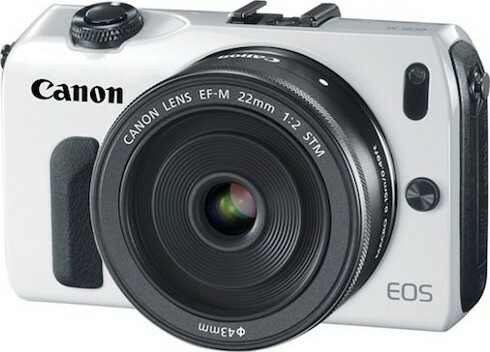 Canon has long been a leader in the world of DSLRs, but when it comes to smaller sized shooters, Canon had largely concentrated on commercially viable consumer and prosumer class digital cameras, not really treading on the mirrorless camera technology known as Micro Four Thirds which has been around for some years now. The mirrorless camera comes close to a DSLR in terms of image quality, and yet is far less bulkier in terms of size, not to mention allowing you to change a fair number of lenses (a market which is growing), making it a favorite secondary camera to many. Well, Canon has finally decided to dip their toes into this particular market, by offering the Canon EOS M digital camera which is said to deliver exceptional EOS Full HD video quality with continuous autofocus, not to mention having it accompanied by a notable and expansive range of lenses. Inspired by EOS technology, the EOS M will be able to leverage on the company’s core technologies, while distilling them down in order to deliver outstanding video capture capabilities without sacrificing image quality when it comes to still shots. Whenever you want to capture still images, the EOS M camera’s 18-megapixel APS-C-sized CMOS image sensor is more than capable of delivering a shallow depth of field, in addition to incredible low-light image quality and a wide dynamic range which is more than capable of capturing rich gradation and detail. This is the latest member of the EOS family, where both videographers and photographers alike regardless of their level of professionalism and interest, will be able to play nice with a couple of lenses that were specially designed for Canon’s new camera format – namely the EF-M 22mm f/2 STM kit lens and the optional EF-M 18-55mm f/3.5-5.6 IS STM lens. Not only that, you are also able to make full use of your Canon EF and EF-S lenses courtesy of the optional Mount Adapter EF-EOS M.